The Paraguayan War was fought from 1864 to 1870 between Paraguay and the Triple Alliance of Uruguay, the Empire of Brazil, and Argentina. By the end of 1864, Paraguay had scored several victories. However, decisive Brazilian victory in the Battle of the Riachuelo began to turn the tide in favor of the Triple Alliance. Eventually, Paraguay lost the war. The Battle of the Riachuelo was one of the most impressive and important victories of the naval service branch of the Brazilian Armed Forces. 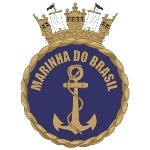 No wonder its anniversary was declared as the commemorative day of the Brazilian Navy. The day is observed across the country with military displays and other relevant events and activities. Currently, the Brazilian Navy has a reported strength of 112 ships, 81 aircraft, and 60,000 active personnel (including 15,000 marines). Its largest vessel is NAe São Paulo, which was commissioned as the flagship of the Brazilian Navy in 2000. It is a 32,800-ton Clemenceau-class aircraft carrier.